Activities are still being confirmed for the 18th Annual Induction Week events, below are just a few activities already being planned. 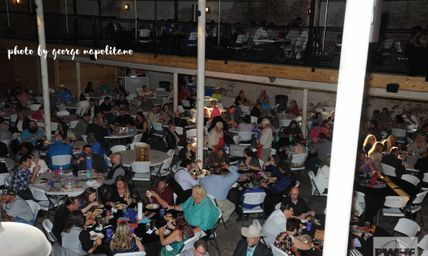 Watch the website for up to date listing of events around the Wichita Falls area, PWHF events and confirmed attendees to the Meet & Greet and Banquet! 6pm Q&A with the author of The Masked Saint, Chris Whaley & showing of the Netflix movie based on the book. Make sure you state you are calling for the PWHF Special. 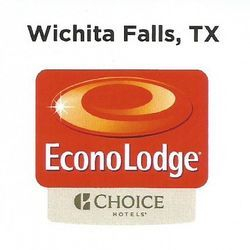 Hotel has Hot Breakfast as one of it's many amenities, only miles from downtown Wichita Falls and the PWHF. Rooms start at $60 King rooms per night. All rooms newly remodeled! Rates include FREE Continental Breakfast & Wi-Fi. $105 per room night (King, Dbl Queen - based on availability) Free breakfast, Wi-Fi, heated indoor pool, and more! 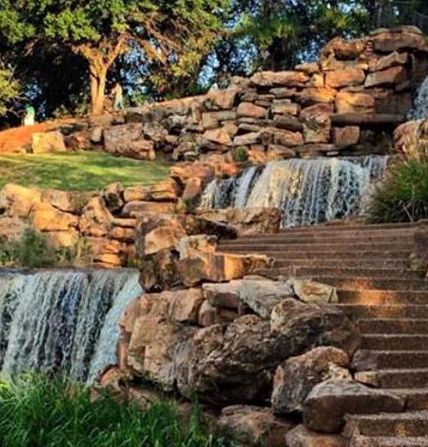 There are a lot of great hotels and lodging in the Texoma area. Feel free to give the PWHF Museum a call if you have any questions. 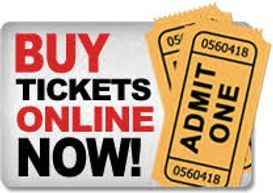 Tickets available to purchase NOW for Banquet and Meet & Greet Online & at the PWHF Museum, online will receive a scanable ticket for events. 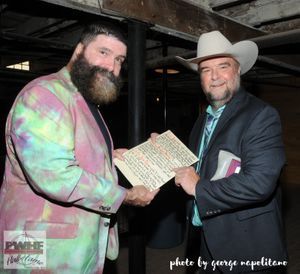 Watch here for Link to Wrestling Tickets too!! 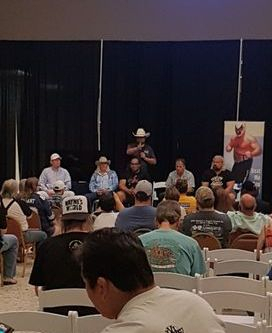 Questions & Answer session following the Wrestling Road stories from the Grappler Len Denton from the 2017 Induction events. Click on the link above to purchase Tickets online or CLICK HERE to download order form! PWHF Trade Show - Admission Free - visit sports collectors, wrestlers & artists plus Memorabilia, Shirts, collectible figures and more! Tradeshow and Meet & Greet will be held adjacent to the PWHF Museum in the Big Blue Lobby Events area. 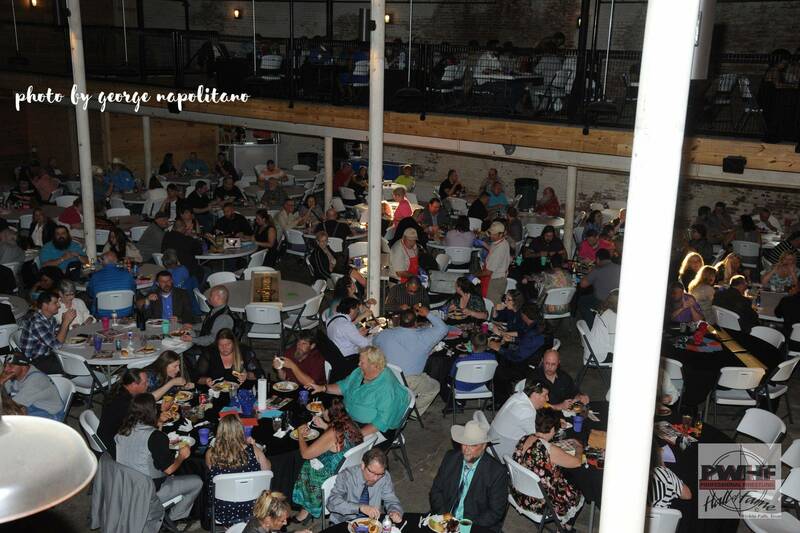 Induction Banquet 7pm - TICKETS $75 per person (Location - TBD) Limited number of tickets being sold. 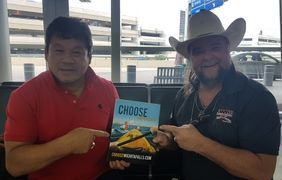 2017 International Inductee Tatsumi Fujinami with PWHF President Johnny Mantell showing off the Choose Wichita Falls ad from the back of the 2017 Induction program. A limited number of programs are available for purchase through the Museum store and online. 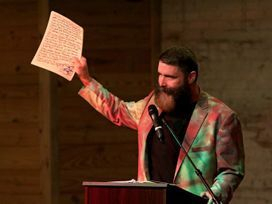 Mick Foley shows his ABC's of Wrestling acceptance speech for his PWHF Induction. 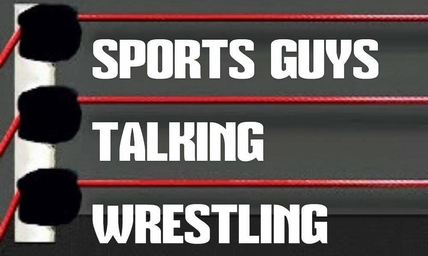 Thank you to Stew & Justin of Sports Guys Talking Wrestling for supporting the Professional Wrestling Hall of Fame & Museum. 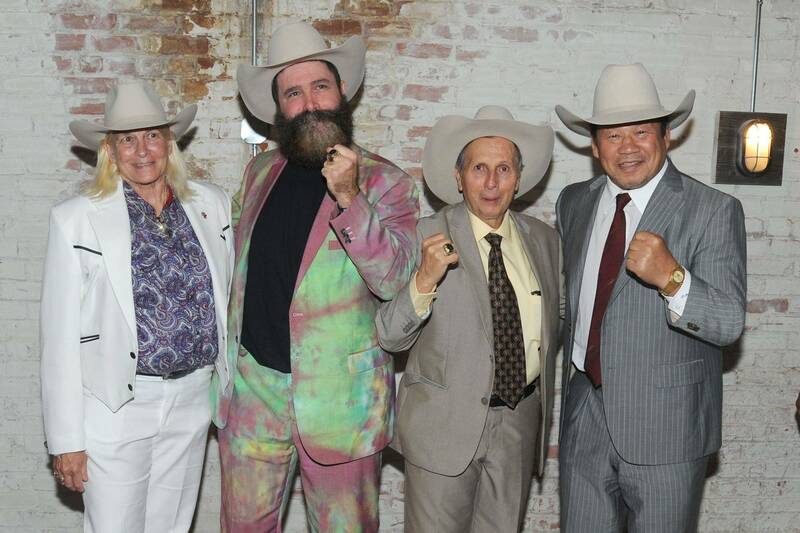 Thanks to American Hat Company for providing custom hats to all Inductees. Wichita Falls, TX - Blue Skies. Golden Opportunities...... 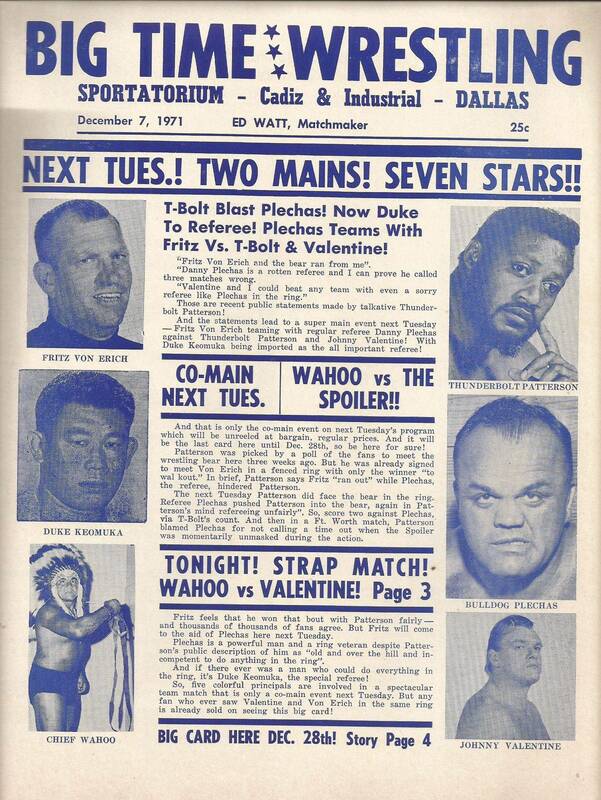 This amazing town has a lot to offer the fans and visitors to the Professional Wrestling Hall of Fame any time of year, whether you visit during the 3rd weekend of May for the Induction activities, during the winter, summer or holiday time there is always something to see or do here in the Falls! The PWHF Induction weekend is now family friendly with tons to do for all ages. So turn this into a weekend to remember!! 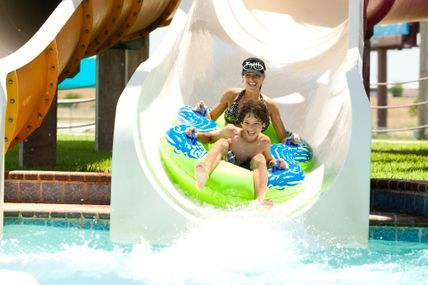 Castaway Cove Water Park is just one of the many family friendly activities throughout the Wichita Falls area to enjoy when you come to visit the PWHF! The view of Big Blue from the top of the water slide is amazing! !